I admit I’ve been avoiding Croatian Istria since I stopped travelling there with my parents every summer. Let’s be honest, in terms of unspoilt beaches and crystal clear water Croatia has so much more to offer. But recently I realised I’ve been doing it injustice. 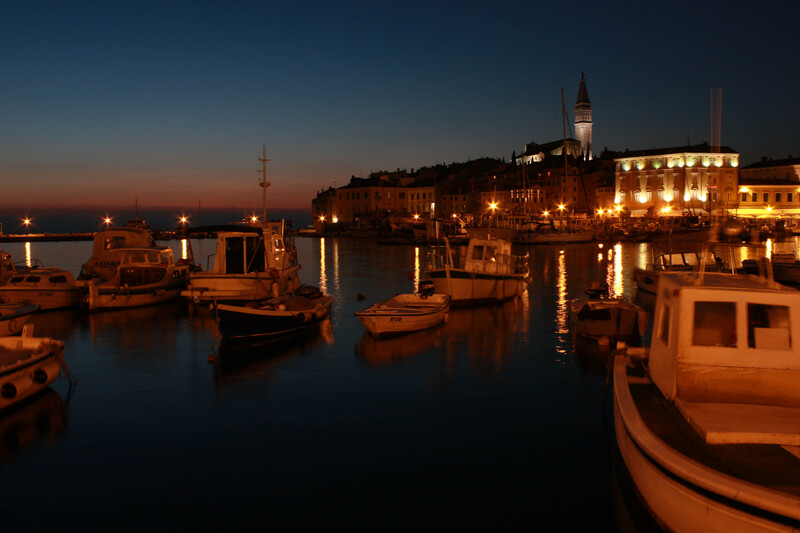 I still wouldn’t want to spend my summer holiday there, but Istria has its highlights worth discovering. Good places to lay your head down – In recent years Croatian tourism infrastructure has seen a lot of change. Some for the better, some for the worst. Most of the big hotel resorts from the past era have been renovated and some exciting new options have been built. Whether you want to stay in a stylish design hotel, a family-friendly resort, an intimate B&B or in a mobile home just two steps away from the beach – here you have it all. While overdevelopment is the main reason why I would still stay away from Istria in the peak season, on a sunny October weekend any of these places are a good choice. And you don’t run any risk of being trampled to death fighting for a spot at the breakfast buffet. A risk I would otherwise seriously consider anytime in July or August. 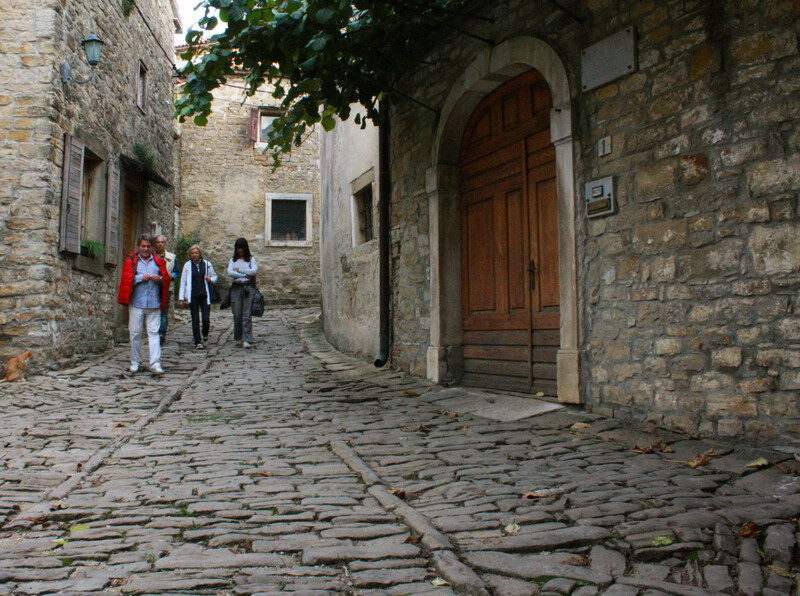 Quaint old hilltop villages – If you visit Istria in summer you will probably miss its prettiest parts. Firstly, because it’s usually too hot to do any serious exploration of the area. Secondly, it won’t ever cross your mind to leave your spot on the beach to a noisy family with a truckload of beach equipment ranging from deck chairs to inflatable dolphins. I believe these are the main reasons why I too only started to discover Istria’s backcountry recently despite having spent most of my childhood summer holidays there. But now I am amazed every single time. As you walk through the narrow cobbled streets lined by old stone houses you feel as stepping into a time capsule. A great way to forget about your daily stress and worries. 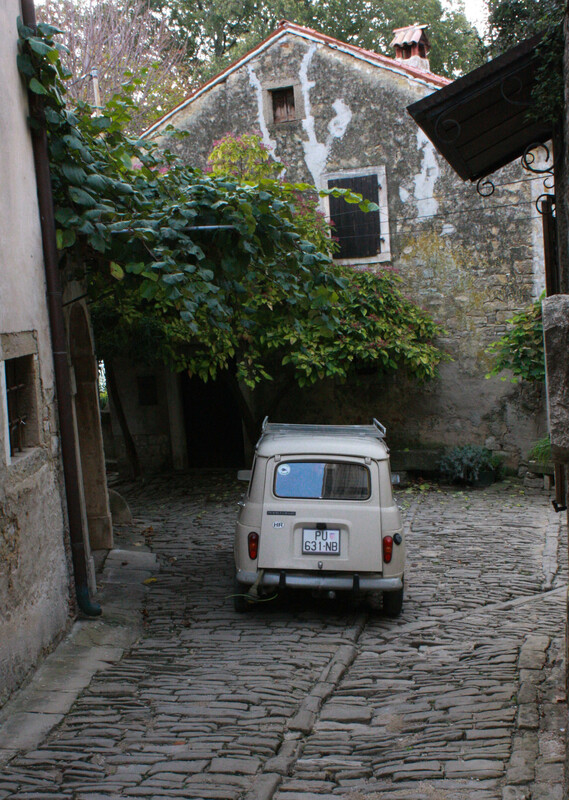 The tiny village of Grožnjan is one of the most popular ones among tourists. 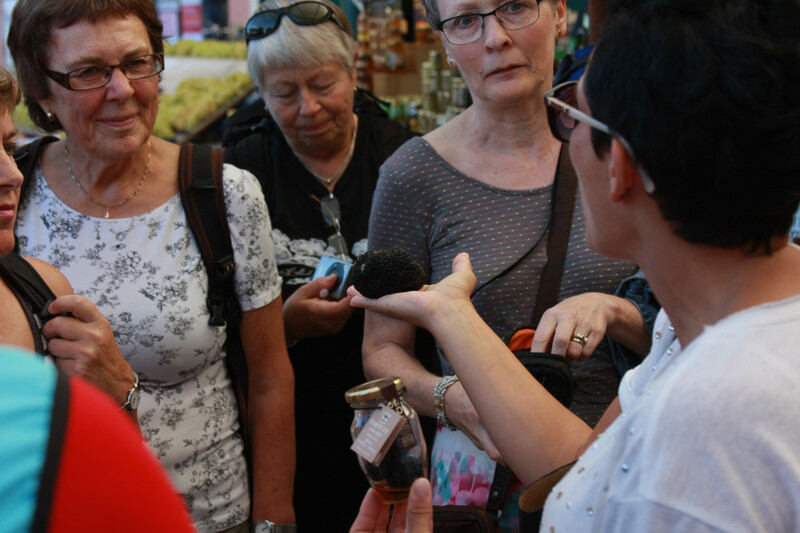 Tasty food – Think truffles, home-made pasta, mouth-watering locally grown beef. Add some excellent local wines and you have your perfect meal at a traditional konoba. Alternatively, there’s always fish and as long as you avoid the touristy places right on the shore serving “mixed fish plates” you should be fine. Your best bet however would be to follow the Italians. They somehow manage to discover the best restaurants in the remotest of villages. You think you have an insider tip worth following? You can bet you’ll be fighting for a table with a crowd of extended Italian families when you get there. 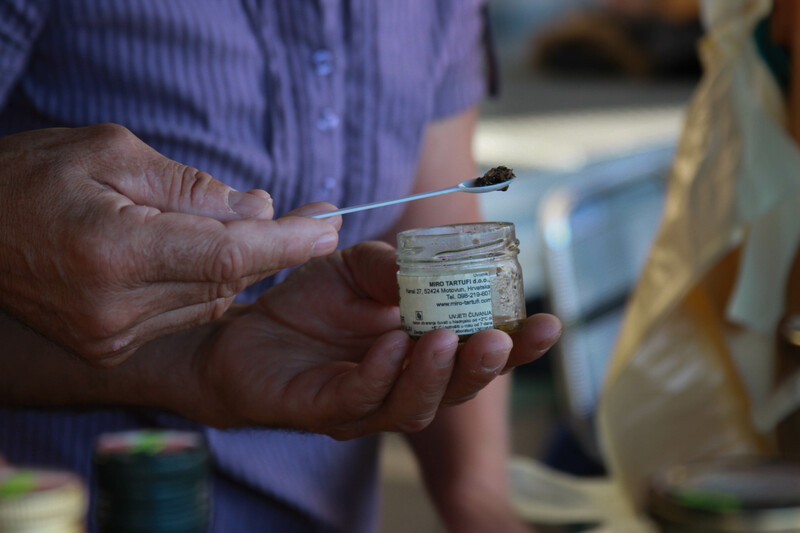 Truffles come in many forms and preparations – but always delicious. So, our recent weekend in Istria made me repeat my resolution again: We will return to these places more often. It’s convenient, does not require a lot of planning while at the same time offers you the opportunity to escape the cold and replace it with some much needed sun and warmth. Actually, I may even have to reconsider my firm position on weekend getaways. I believe it would be totally worth it.